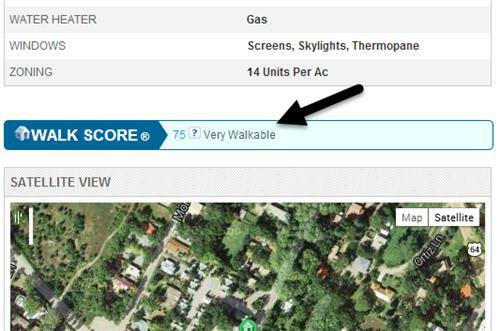 What Is Walk Score and Why Use It? In the 2005 Traveler Opinion and Perception Survey, the Federal Highway Administration reported some interesting statistics about walking in the U.S.
107.4 million Americans use walking as a regular mode of travel. That represented about 51% of the travelling public in 2005. On average, these 107.4 million people used walking as a mode of transportation (rather than for recreation) three days per week. These numbers are definitely higher almost eight years later. One reason is that Baby Boomers are entering retirement and many are downsizing their homes and moving into areas with easy walking access to shopping, entertainment and services. It’s only logical that your website visitors when searching the IDX will consider the proximity of services and fun as valuable information. Along came the website WalkScore.com. The website scores millions of addresses, from zero to 100, for how walkable the neighborhood is and how easy it is to access the things important to the consumer and residents. 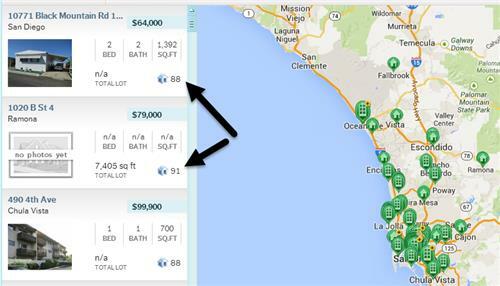 The great news for you is that it’s as easy as checking off a box to add the Walk Score to your website IDX listings. Probably the only reason you wouldn’t want to use these features is if you’re in a very rural area and just about every score is going to be very low. Otherwise, there is a definite demographic out there searching for properties close enough to services and entertainment to walk.